Cozy winter stews and hot cocoa no longer – I am now hundreds of miles south where juicy fruit, fresh seafood, and all things made with cornmeal are what I crave. Estoy en el maravilloso país de Colombia! 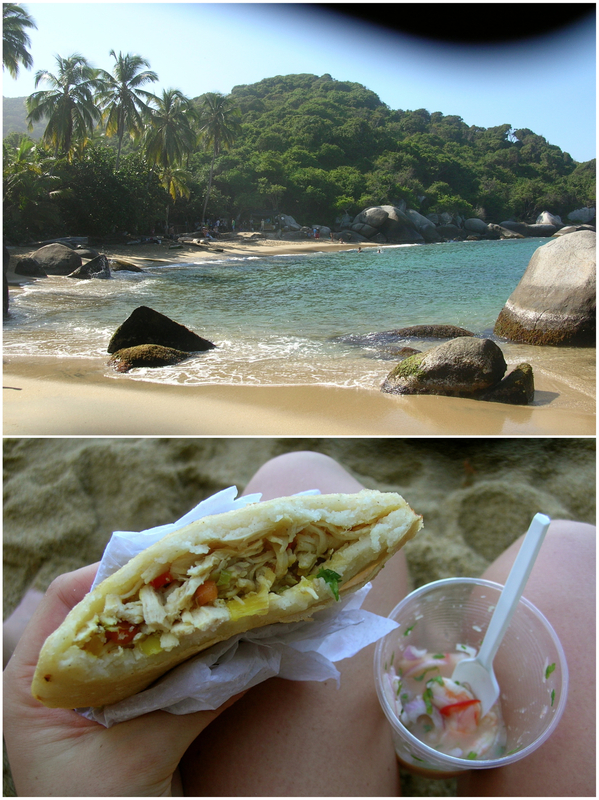 The highlight of the week I’ve spent here so far would have to be the unexpected adventure of trekking 3 hours to (and then back from) paradise, and enjoying fresh ceviche and arepas on the beach.